* Audio formats supported: MP1, MP2, MP3, MP4, MPC, AAC, Ogg Vorbis, FLAC / Ogg FLAC, WavPack, WAV, AIFF, AU, SND, CDDA, WMA. * Support for transcoding all supported audio formats using the Converter component (requires external commandline encoder executables for different output formats). * ReplayGain support - both playback and calculation. Foobar2000 is often regarded as the best audio player available. The potential for GUI customization is limitless; one major drawback keeping the average joe from using this wonderful software is the strong learning gradient associated with customizing this software. This Tutorial will hopefully serve to soften that gradient and allow everyone to experience the wonderful world of foobar. * Follow the installer instructions. * Congratulations! You've installed Foobar2000! Not very impressive is it. We need to add some third party components and a GUI to make this thing rock. Elegance is a Graphical User Interface (GUI) for foobar. This allows the user to access the many features of foobar in an easy and eye pleasing fashion. First you will want to Download Elegance. The download is in a zip file so you will need to extract it using WinZip or WinRar. Next you need to download the required components (save these to a folder on the desktop for ease). After downloading the file, run the application and the fonts should automatically be added to your directory. After downloading the required components and fonts, you are ready to set up foobar. 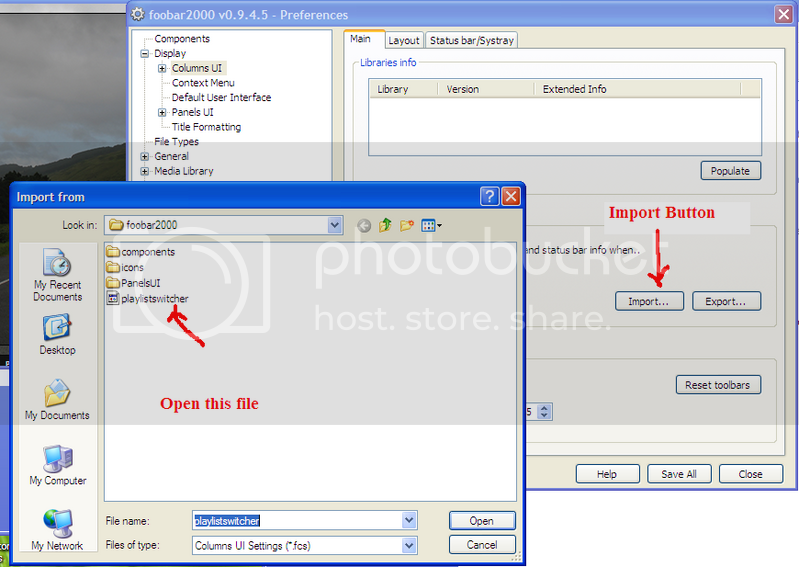 * Create a new folder inside of foobar2000 named PanelsUI. * After extracting the elegance download, drag the folder named elegance into the new folder PanelsUI, and drag the playlistswitcher file directly into the foobar2000 folder. * Extract all of the components downloaded earlier, and drag only the .dll files into the components folder. * Double click the foobar icon and select Panels UI. * Press Ctrl P to access the Preferences Menu. * While in the same screen click the User Globals button. The top line tells the program where to find album artwork. (default album artwork name is folder.jpg change this if you save your album artwork under a different name. Well not exactly, there are many things to customize to your liking that are beyond the scope of this tutorial, but as it stands this should be a functional player. !